Our national symbol of American independence and freedom, the Liberty Bell in Philadelphia, Pennsylvania, where the NFRW hosted its 39th Biennial Convention in September 2017. The National Federation of Republican Women returned to where it all began -- the birthplace of American liberty, Philadelphia, Pennsylvania -- for the 39th Biennial Convention. 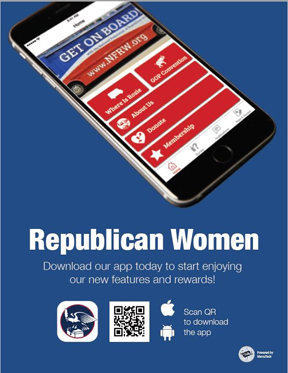 The convention brought together nearly 900 Republican women from across the nation for an exciting line-up of speakers and training and networking opportunities. The convention was one of the largest Republican gatherings this year and one of the first Republican events of the 2018 election season. And Get Convention Updates in Real Time!